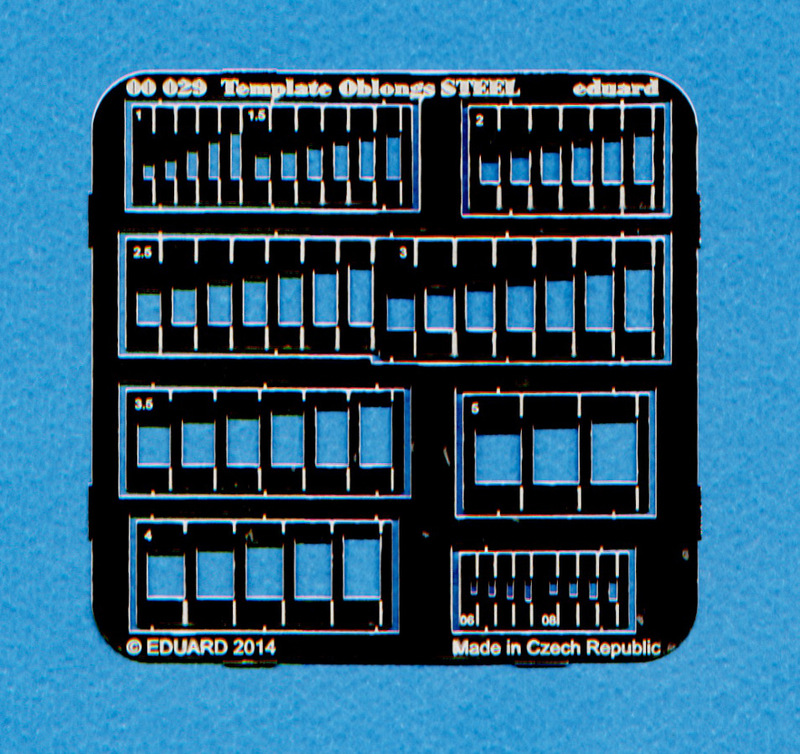 This new set of scribing templates (item number 00029) is for "oblongs" or rectangles, if you will. There are 10 different rectangle sizes which are measured by height, ranging from .08 to 5 millimeters. Each rectangle has a minimum of 3 different sized rectangles for scribing. 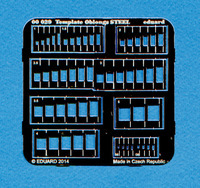 They are attached to a single fret but each template can be individually removed, which is useful if you need to scribe on a curved surface like an airplane fuselage. This is a useful tool. 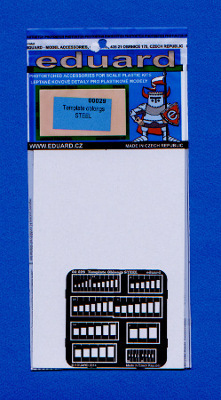 If you rescribe the raised panel lines of an older kit or need to create new access hatches, etc. this tool will come in handy. I recommend it and I would like to thank Eduard for providing the review sample.